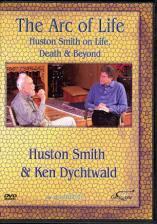 We in the west can learn to face old age and death from Huston Smith as he experiences his personal experience of aging, and is able to clearly explain the different cultures and their approaches to life and death. How do we face our own mortality near the end of life. In the west, we hide death...the emphasis is on the body. In other cultures we see an emphasis on the social and psychological aspects of dying. Huston Smith is the famed author of The World's Religions and has an important perspective for the West. He is himself in his nineties and faces his own mortality with a notably peaceful attitude. See the reviews for further information. A video preview is also below. 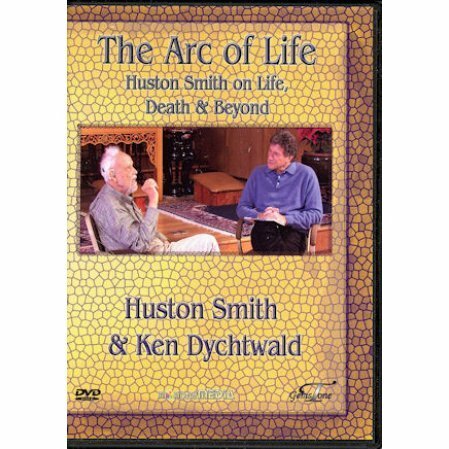 Huston Smith ends the arc of his life with kindness and wisdom that is both ordinary and extraordinary. His interview with Ken Dychtwald inspires this writer to approach the final chapters with less fear and more hope. -- Don Lattin, author of THE HARVARD PSYCHEDELIC CLUB -- How Timothy Leary, Ram Dass, Huston Smith and Andrew Weil Killed the Fifties and Ushered in a New Age for America. When we worked together on his memoir Tales of Wonder, I marveled at the great “book” Huston was composing on aging--not by writing but by living it. So successfully was he overcoming aging’s frailties and hardship that he hardly noticed he was doing it, much less that he should write about it. Now, in conversation with Ken Dychtwald, Huston lets us eavesdrop through the window and take heart and be undaunted by what is to come. The DVD is called The Arc of Life but it could easily bear the subtitle: How to Grow Old and Remain Forever Young.